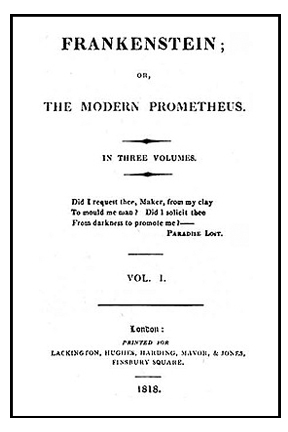 The English author Mary Wollstonecraft Shelley began to pen her classic novel Frankenstein; or, The Modern Prometheus in 1816, when she was 18 years old and in the midst of an extended trip throughout Western Europe. As was common practice for female authors in this time period, her book was published anonymously in 1818. Shelley was born to a privileged and well-educated English family, her father being the political philosopher and author William Godwin, her mother the philosopher and feminist Mary Wollstonecraft. 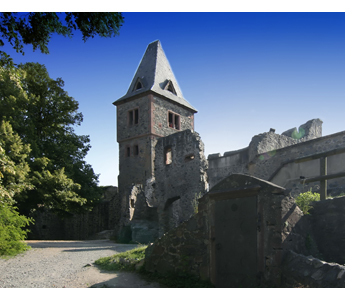 Shelley’s inspiration for Frankenstein came from her travels as a young teen throughout Europe, including the Rhine River in Germany, where she stopped in a town near the Frankenstein Castle. Later in her travels she spent time in Geneva, Switzerland, at the Villa Diodati, where much of the novel's story takes place. There she and her traveling companions told each other old German ghost stories, and talked at length about galvanism and the occult. Stimulated by their ghoulish conversations, her traveling companion Lord Byron suggested that they compete to see who in the group could write the best horror story. The others with Shelley included her lover Percy Shelley (who would later become her husband), along with their friend John Polidori. As she struggled unsuccessfully to come up with a story, a dream came to her one night about a scientist who created a horrifying lifeform. The rest is history. These are the questions that lasting pieces of literature ask. Happy 200th, Frankenstein! Our lives and imaginations have been greatly enriched by your creation!